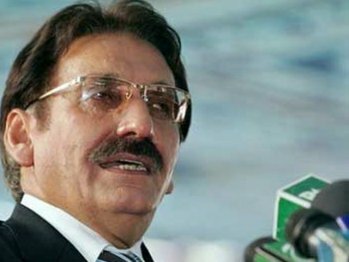 HYDERABAD DECAAN/ISLAMABAD – Chief Justice Pakistan (CJP) Iftikhar Muhammad Chaudhry has said that whenever a country is ruled by the chosen representatives under the dispensation of constitution, the good governance is strengthened. Delivering his key note address at the inaugural session of the 17th Commonwealth Law Conference in Hyderabad, India, on Sunday, he said the existence of an independent judiciary was necessary for the enforcement of fundamental rights, trade and commercial activities in accordance with law and constitution. Dilating upon the theme of conference ‘Emerging Economies and the Rule of Law: Opportunities and Challenges,” he said the rule of law had a substantial impact on the economic development across the globe. “The judiciary of Pakistan has passed through different phases where efforts by adopting unconstitutional measures had been made, but the judiciary ensured its independence in all the circumstances because it is of the opinion that when there is constitutionalism and rule of law, it guarantees a democratic system in the country instead of military rule,” he said. He said strong constitutional and legal framework was a must for establishing rule of law. The constitution of any country, being the supreme law, kept every organ of the state autonomous and independent, yet subject to certain limitations and restrictions, but at the same time, ensures supremacy of the law, which was essential for economic development of a country, he added. Referring to the steps taken on November 3, 2007, he said for the first time in the history of Pakistan, the judiciary, which had achieved independence after a long struggle, asserted itself and the Supreme Court declared those measures as unconstitutional and illegal in its landmark order on the same day. The superior judiciary, sacked by adopting unconstitutional devices, was ultimately restored and the democratic Government did not validate or condone the acts and actions taken by the military ruler, he added. The chief justice said the constitutionalism and rule of law guaranteed enforcement of human rights and thus helped flourish industrial and commercial activities. “Rule of law and equality before law are the hallmark of Islamic thought and philosophy, which derives its authority from the Holy Quran and traditions of the Prophet,” he added. After alluding to the history of rule of law, he said this concept was further developed by the International Commission of Jurists, known as Delhi Declaration 1959, which implied that the functions of the government in a free society should be so exercised as to create conditions in which the dignity of man as an individual was upheld. “This dignity requires not only the recognition of certain civil or political rights but also creation of certain political, social, economic, educational and cultural conditions, which are essential to the full development of his personality,” he added. Justice Iftikhar said the Universal Declaration of Human Rights 1948 aimed at protecting these rights and setting out guidelines for the member states to formulate policies and prescribed standards for securing these rights. About Pakistan’s Constitution and the role of judiciary, he said it had given necessary powers to the Supreme Court for protecting the fundamental rights.